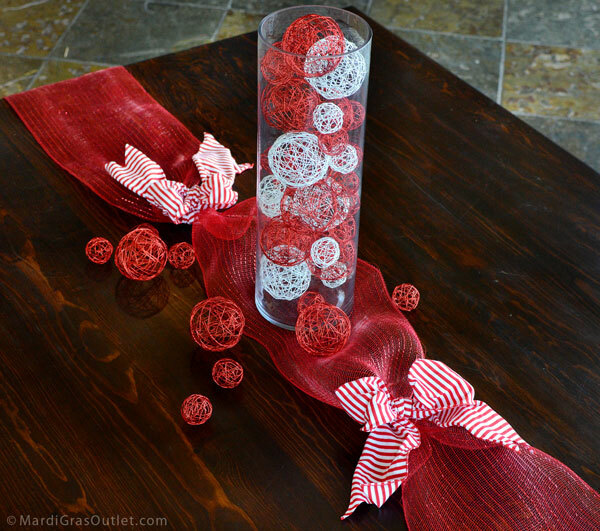 Our favorite idea is this unique Christmas wire ball wreath that is both modern and fun. Keep reading for an easy photo tutorial for creating one of your own. It took about 20 minutes to create this wreath. 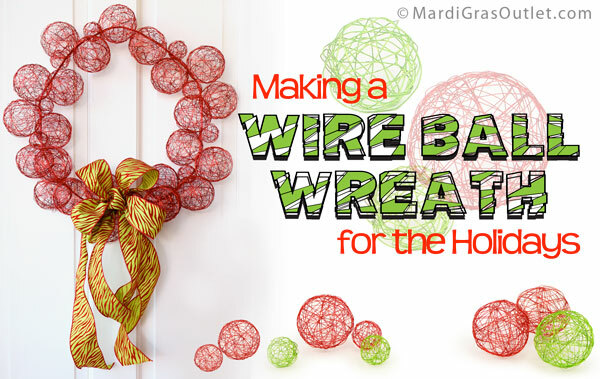 The amount of wire balls you will need will depend on the size of the wreath you create. For our large 20" wide wreath, the material cost is approximately $47. 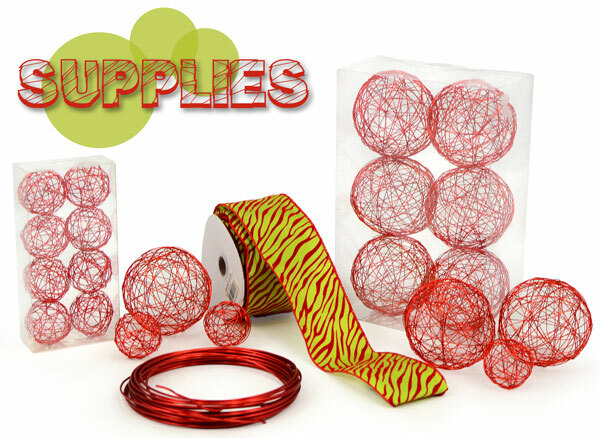 We only used partial rolls of the ribbon and aluminum craft wire so you will have left over product for another project. 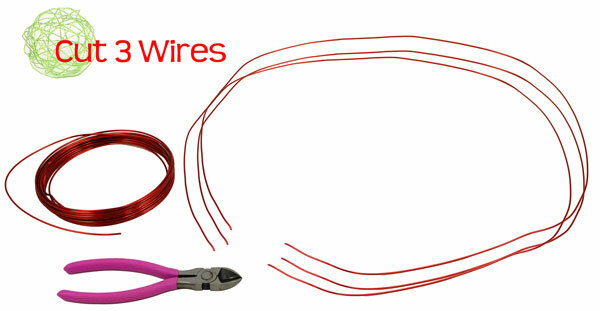 Cut three lengths of aluminum craft wire, about 40" long. 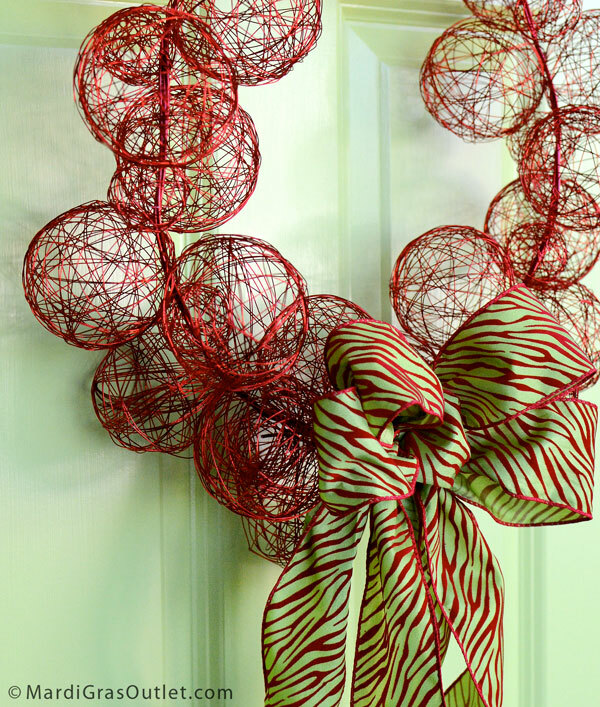 Please note: The size of the finished wreath will determine the length of the wire for the basic form. 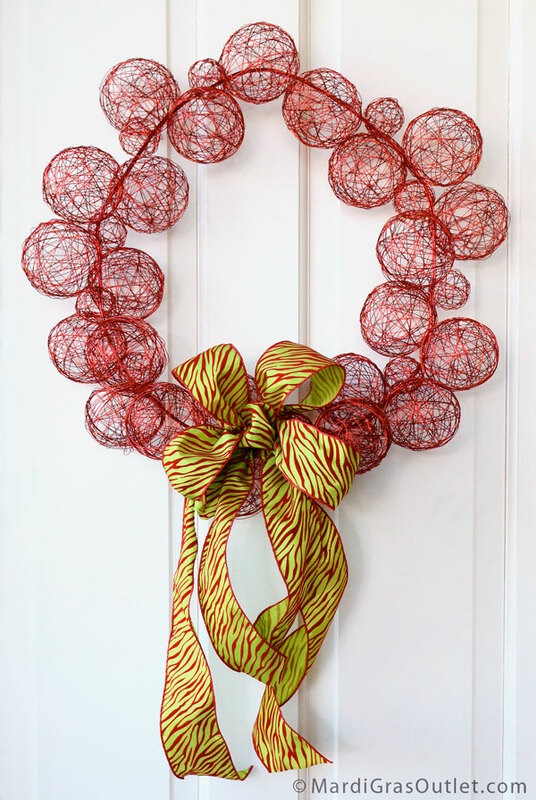 The larger the wreath, the heavier gauge your wire needs to be to prevent the wreath from drooping. 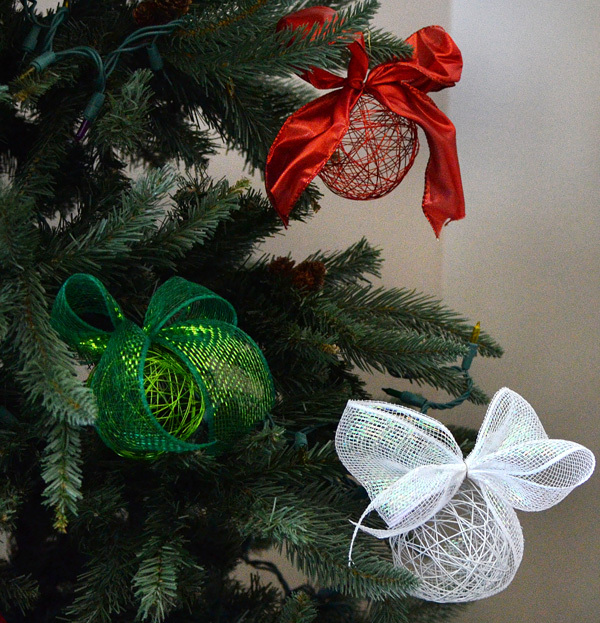 For a smaller version of this wreath, we only needed one wire for the form. As the size increased, we used three wires for stability. 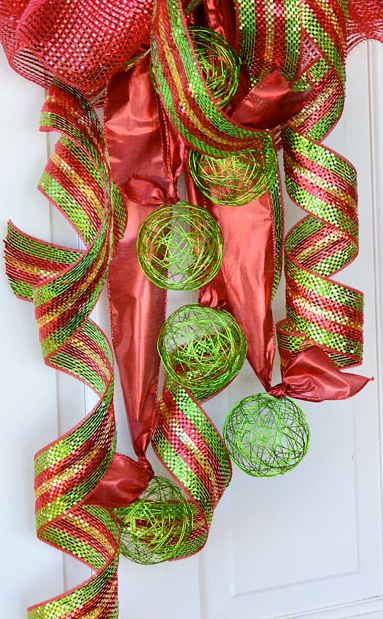 Twist the wires together and form a basic circle wreath form. Turn one end back into a C-shape to form a stop. On the open end of the form, slide on the wire balls. 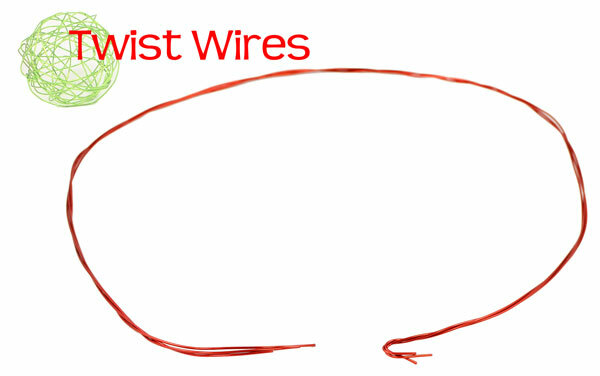 Insert the wire into the ball on the side rather than the middle so the balls will stack on the form. 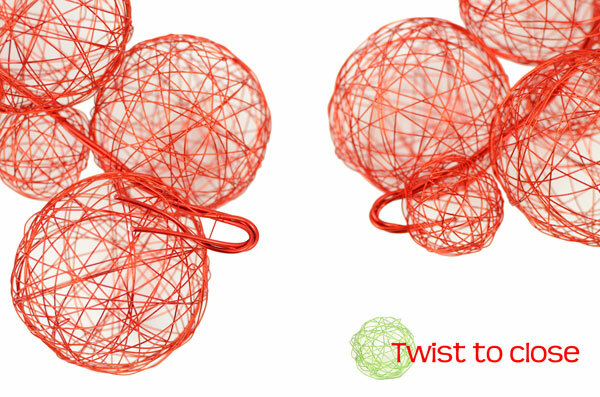 After a little experimenting, we found that a pattern of 2 large wire balls then 1 small ball worked best. Continue repeating this pattern and sliding the balls around to the wire end with the C-stop. 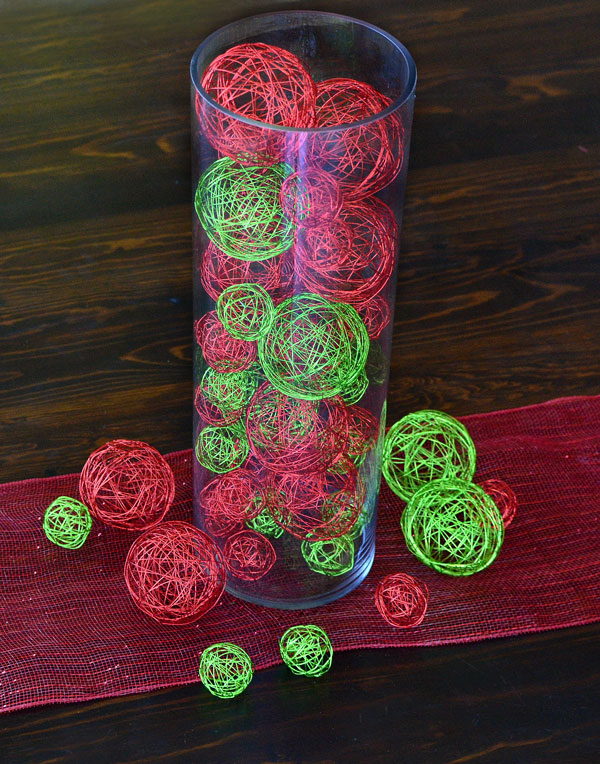 Fill the circular wire form with wire balls, rotating the arrangement of wire balls to fill in the blank space. When the form is full, double over the wire to form another C-clasp. Hook the two wire ends together and twist tightly to ensure the wire balls won't slip on the wreath. 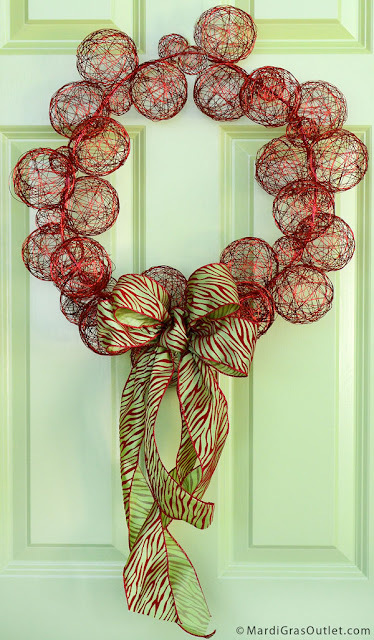 Make a bow and tie onto the wreath to hide the clasp. 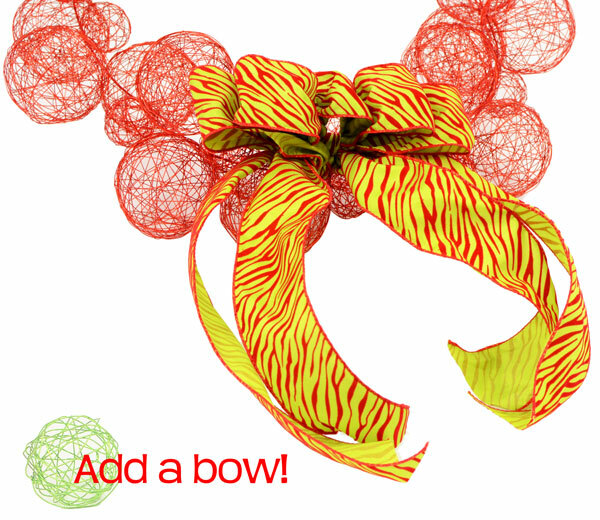 For bow making directions, please see our previous post, How to Make a Bow with Deco Mesh. The finished wire ball wreath! 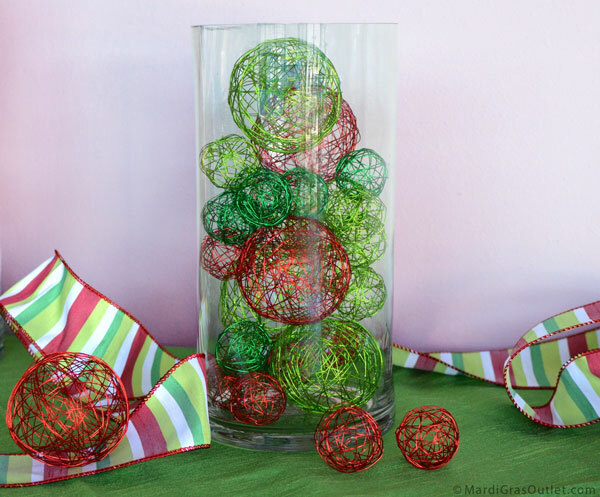 Here are some more photos of ideas using these fun wire balls. 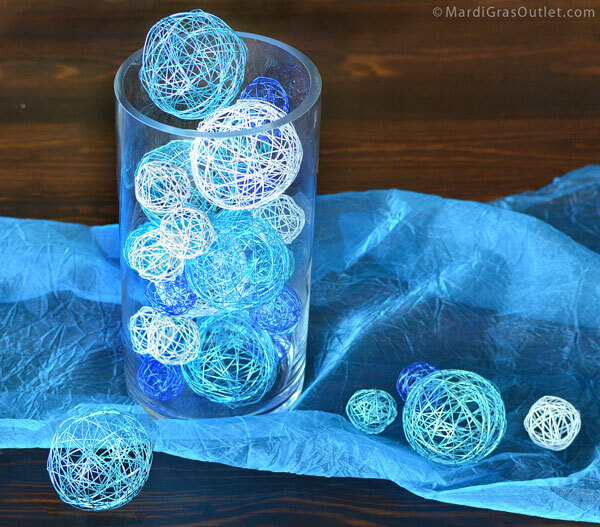 For more ideas check out Mardi Gras Outlet's Decorative Wire Ball page on Pinterest.